The Rev. Randall C. Bailey, Andrew W. Mellon Professor of Hebrew Scripture, Interdenominational Theological Center of Community Gospel Ensemble, Atlanta, Ga., will deliver the sermon "The Joy of Being a Traitor." A widely published scholar on culture and biblical interpretation, Bailey has lectured throughout the world on the black church and the bible. The service will also feature music by the Bates College Merimanders and the Bates College Shape Note Singers, as well as dance by Bates junior Devon Fitchett of Woburn, Mass., and Voices of Freedom, readings by 20 Bates College community members. Bailey will meet with the community for informal discussion following the service at 8:30 p.m. in the Bates College Multicultural Center on Campus Avenue. A scholar, museum director and minister comprise the keynote panel King and the Campus: Voices of the Movement for the 2001 Bates College Martin Luther King Day Jr. observance at 10 a.m. Monday, Jan. 15, in Alumni Gymnasium. The public is invited to attend all events associated with the day of commemoration free of charge. Jualynne E. Dodson, associate professor of Afro-American studies and religious studies at the University of Colorado, Boulder; Joanne Bland, tour director of the National Voting Rights Museum; and the Rev. James Foster Reese, director emeritus of the racial ethnic ministry unit for the Presbyterian Church (USA) will discuss the Civil Rights Movement, touching on personal involvement in the struggle as well as movement connections to other cultures. John McClendon, assistant professor of political science and American cultural studies at Bates will moderate. Raised in the G.W.C. Homes housing project of Selma, Ala., Bland began her civil rights activism as an eight-year-old attending a 1961 freedom and voters rights gathering presided over by the Rev. Martin Luther King Jr. Students for a Non-Violent Coordinating Committee (SNCC) activists organized Bland and other area children and teenagers to participate in the civil rights movement. In the front lines of the struggle, the young Bland marched on "Bloody Sunday" and "Turn Around Tuesday," witnessing brutal beatings, shooting and hosing of fellow marchers by police. Denied permission by her father to march from Montgomery to Selma, Bland nonetheless insisted on walking on the first and last days of the famous march. "We didn't see ourselves as heroes then, or even making history. We didn't think about things like that. It seemed as if it had been going on for so long it was a way of life," Bland says about her movement involvement. Today, Bland serves as tour director for the National Voting Rights Museum which collects and preserves the history of the Civil Rights/Voting Rights movements. "I think that is proper," Bland says. Dodson's interdisciplinary academic research centers on how African Americans and other oppressed communities of color have constructed humane social structures despite injustices levied against them for centuries. Also a member of the Department of Ethnic Studies, Dodson focuses on the relationship between distinct religious traditions and movements for social change and transformation. Her current research centers on investigating African American religio-cultural associations in the Spanish and English-speaking Atlantic Diaspora, specifically comparing North America ("The Black Church") and the Caribbean (Cuban communities that practice African derived religions). Dodson received B.Sc., M.A. and Ph.D. degrees in sociology from the University of California, Berkeley. 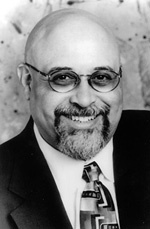 Until his retirement, Reese supervised program and outreach organization for the African-American, Hispanic, Asian and Native American members of the Presbyterian Church (USA). Born in Harrodsburg, Ky., he attended Knoxville College in Tennessee, PittsburghXenia Theological Seminary and the University of Pittsburgh. Beginning his ministry in 1949 at a Camden, Ala., church, Reese then served as pastor of The First United Presbyterian Church from 195967 on the campus of Knoxville College near Selma, Ala. There he led and participated in the historic Selma sit-ins, protesting the city's Jim Crow laws and practices, much of it chronicled in "Diary of A Sit-In" by Dr. Merrill Proudfoot. Reese also served as professor of homiletics at St. Paul's Theological Seminary in Kimuru, Kenya.